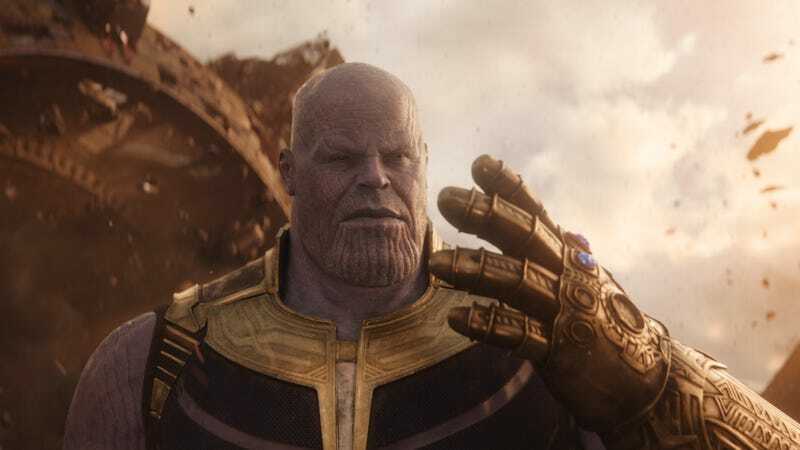 A big topic of discussion after Avengers: Infinity War was who did and did not survive Thanos’ apocalyptic snap, when he completed the Infinity Gauntlet and managed to wipe out half of all living things in the universe—including dogs and cats. We know the original six Avengers lived (but we only really know that because of the Endgame trailers showing Hawkeye), along with Nebula, Rocket, and Okoye, but there were a handful of question marks beyond that. Specifically, it was left unclear whether or not a lot of the heroes’ supporting casts survived, since they weren’t in Wakanda for the big fight or with Nick Fury in the stinger, so audiences were left wondering if crucial-ish characters like Wong made it out alive. Now, Marvel has released a series of posters that directly confirm which characters lived and which ones died, with the only real big surprise being that Black Panther’s younger sister Shuri apparently died offscreen in Infinity War after trying to protect Vision from Thanos’ goons. It’s a bit surprising that both Pepper Potts and Happy Hogan survived, since it means Tony Stark got off kind of easy (if you forget that he had to watch Peter Parker die and that he was left stranded in space). Anyway, here’s the full set of very somber posters. Feel free to overanalyze them and try to determine if there’s a reason why some characters—Cap, Hawkeye, and Fury—are looking right into the camera while most others are not.